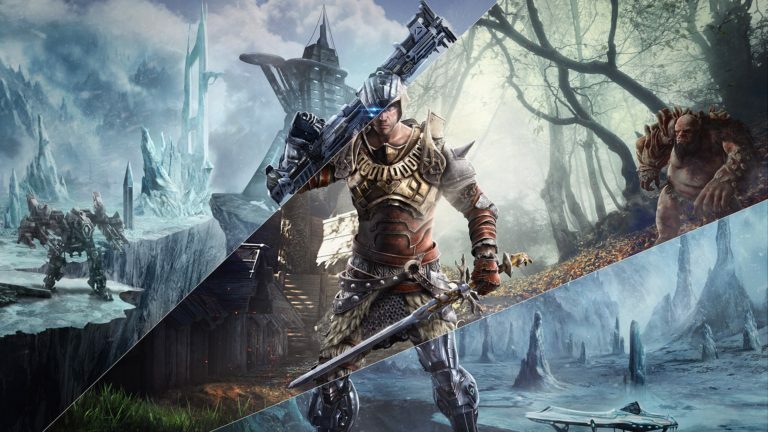 Elex is the latest title from Piranha Bytes and the minds that gave us the Gothic and Risen series. 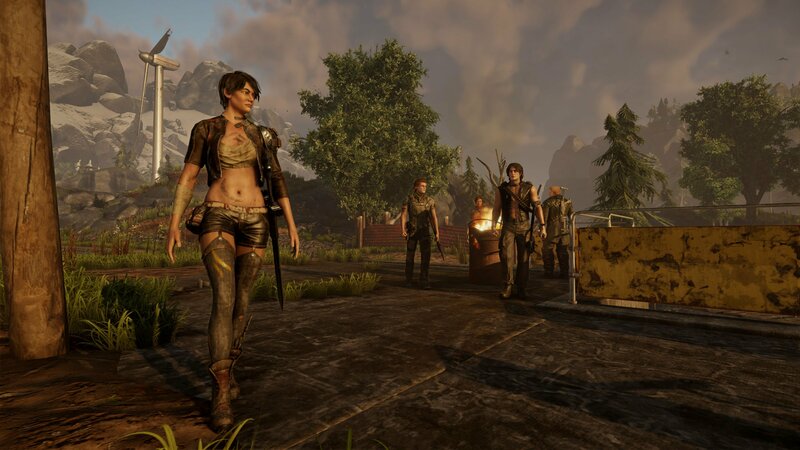 This new release has arrived on PlayStation 4, boasting freedom of play and a post apocalyptic science fantasy universe set in the open world of Magalan – published in mid October by THQ Nordic. So how does it try to set itself apart from the rest? Lets delve in and find out. As stated Elex takes place within the fictional world of Magalan, a world that once saw itself at the height of advancement only to one day see it reduced to rubble and dust when a meteorite struck the planet laying waste to everything (think what happened to the dinosaurs only with humans) Now what if that was only the beginning? Along with pure destruction, something else came from beyond the stars to the world of Magalan. Something that would shape its future more than the erasure of its history….. Elex. Clerics – It’s hard for me not to say warlock from Destiny, but that’s basically what they are. These guys are a tech powerhouse and the closest thing to Alb without the dark side. 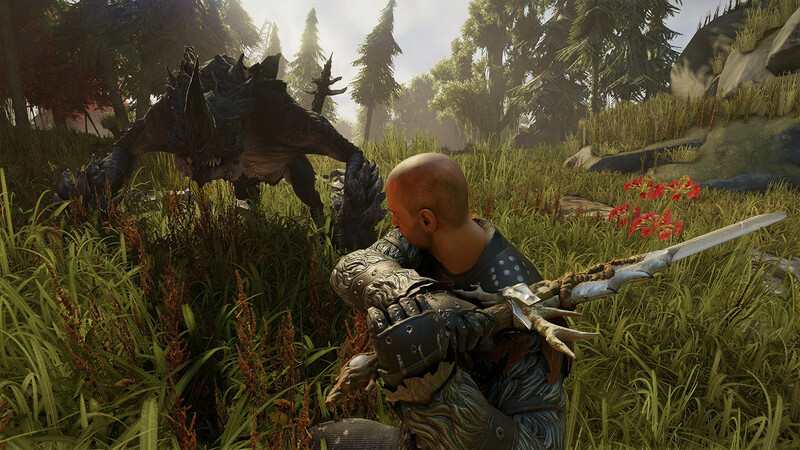 They use Elex to fuel weapons, tech, mechs and use psychic abilities – but keep emotion intact. Easily the faction with the bigger firepower. Outlaws- These guys are pretty much free agents, out for profit and self. These feel like they stepped in from Fallout or Mad Max, they really don’t care about anything but money and will shoot anyone for a shard or two. Berserkers- Despite their unfortunate naming choice, these armor clad throwbacks to Dragon Age are more akin to the greenpeace of this world, renouncing Elex and restoring life to the land with the aid of magic. Put simply I could not picture these factions in the same world without it being just broken. It simply should not work, I mean sure 1 or 2 maybe, but all four seemed ludicrous. 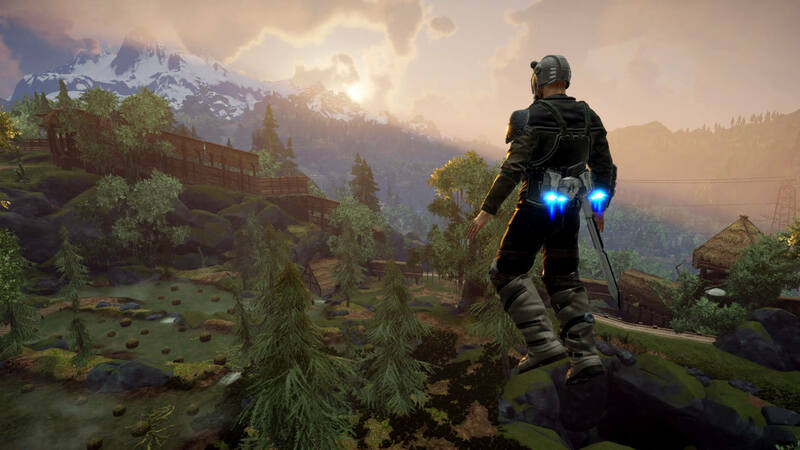 But then I played Elex, and despite the fact that it just shouldn’t, it just does. I really have to hand it to the team the way that the story works to fit each of these factions, and the lore that supports them. The foundations that allow for their existence in Magalan far exceeded my expectations of it being possible simply because it is. 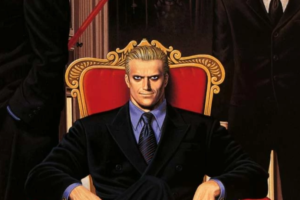 It manages to add an element of uniqueness and depth to the game world that seems lacking in modern gaming. As you may expect from my brief expatiation of the factions, their is more than one way to play Elex and while the clerics may have big guns and hi tech armor, the Berserkers have magic but strict rules on technology relying on swords and bows. The outlaws are more about doing what you please even if that means having your friend shoot you in the back, or strapping you down and feeding you to mutated animals. Couple the unique talents of each faction with the universal skills available to all and this allows for any play-style. However with that said, its impossible to experience everything in a single run due to only being able to side with a single faction, and being unable to change after you do so. However there is still a huge variety of abilities and content available to you even before you side with a faction. My second note on gameplay is in regard to the world itself, or to be more on the nail, your interaction with it. Its far from the most polished open world experience though, and anyone with any familiarity with Gothic and Risen will know what to expect. One unique addition in this title is the jet-pack that is sold on its ability to aid exploration. However, aid may be a strong word. I can’t count the number of times I have used it to reach my desired location, only to see myself slide off a flat surface diagonally and fall to my death – with the game unable to process my frantic attempt’s to reengage the jetpack to at least soften the 80ft drop. Combat, or to be honest most of the gameplay, has a steep learning curve and will utterly destroy those who tend to act before they think as though the game boasts almost unlimited freedom. You will often run into a impassable wall, A wall with fangs, claws and more HP than bullets a terminator can carry. While this can be painfully annoying as you try and clear a section in the starting zone, this only serves to enhance the world. Threats are not simply segregated into manageable areas in life right? This adds a survival element to an already varied game, seeing you run from beasties more than fighting in earlier stages and even later in game – managing risk and reward is key. Graphically the game falls a little shorter in my praise from the off, with the introduction scenes failing to render most of the textures and seem about as smooth sonic’s hairdo. It’s not something you would expect from the Ps4, or even the Ps3. 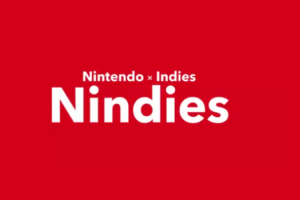 At times this fortunately transfers less so to the main gameplay, only really showing up when someone puts their hand through their own chest when they have an itch. 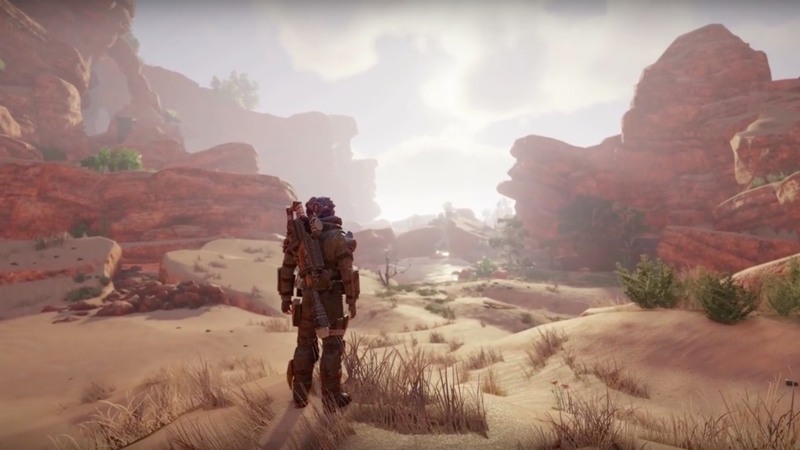 That said when it does work the way it’s intended, the game can see some wonderful locations and settings – from ruin’s of the old world to forests and desert caverns. Audio tends to work overall for setting the tone. Dialog options however, on occasion, will cut off a little early or skip forward a line, but this does in fact seem quite rare and poses little to no issue in terms of understanding the games flow. 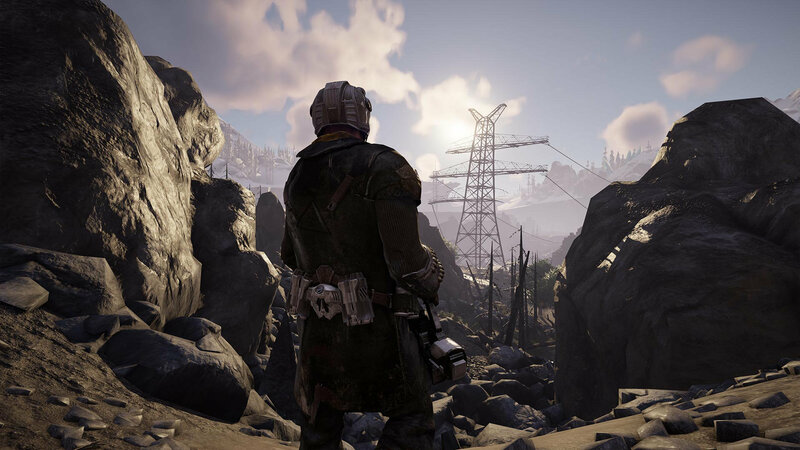 Elex is one of those games that released with little to no fan fare and will easy become one of those rare gems people look back fondly on, be it for it’s generous playtime, in depth world building, janky animations but so full of heart, Elex is one of the games that will help define Western RPGs this generation. It’s weird and wonderful, shouldn’t work but captivates the player and rewards you with one of the more unique worlds for you to explore and conquer.